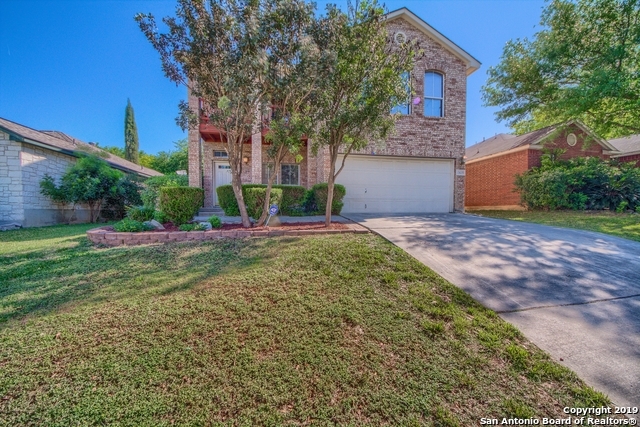 All OAK RIDGE VILLAGE homes currently listed for sale in San Antonio as of 04/24/2019 are shown below. You can change the search criteria at any time by pressing the 'Change Search' button below. "Beautiful two-story, 4-bedroom home perfectly located within walking distance to neighborhood pool & clubhouse. Home features an ideal floor plan. Kitchen with large island and plenty of counter-space opens up to the Living Room. Breakfast area & Formal Dining Room provide plenty of space for the whole family. Master-suite features a private patio terrace, wall of windows & french doors that open up to the bathroom with double-vanity, toilet room, garden tub, separate shower & spacious walk-in c"
"GORGEOUS ONE STORY IN AMAZING SUBDIVISION! RECENT WOOD TILE FLOORING (2019), CARPET (2019), PAINT (2019). WELL MAINTAINED WITH UPDATES. PICTURE PERFECT. WONDERFUL SUBDIVISION WITH POOL AND CLUBHOUSE. GREAT LOCATION. CLOSE TO EVERYTHING!"